For two weeks this summer, London will be the focus of the world while hosting the Olympic Games. It won’t be easy trying to find to stay in the city. Forget the big name hotels that have a long history in the city. Seriously, you won’t find a room. They’ve been sold out for months. Those with tickets to the London’s first Olympic hosting gig since 1948 have been snapping up the most sought-after hotel rooms in the city. Add to that the power of block-booking and you can see why you’ll be lucky to find a lobby with a cot. Fortunately, there are still plenty of places to stay in London for the Olympics. You’ll have better luck finding attractive, comfortable and affordable accommodations in the London suburbs. Transportation to any of the Olympics activities isn’t really an issue with free public transportation available during the day and easy access to other forms of transportation. The London suburbs offer a greater variety of lodging choices than you’ll find in London during the Olympics. If you’re looking for a more relaxed stay, consider a bed and breakfast travel package. Enjoy a tasty English breakfast each day before heading into London for the games. You have a better chance of finding a better selection of hotels if you look around London and not directly in the city. 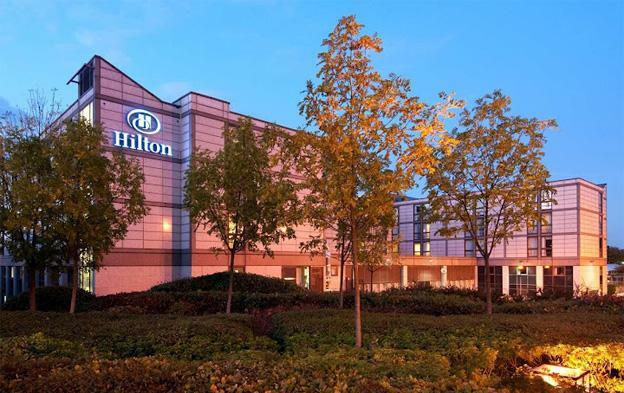 Three and four star hotels such as the Hilton Hotel Croydon, the Wembley Plaza Hotel London and the Wembley Plaza Hotel London still have rooms available at reasonable rates. The sooner you start your search, the more likely you are to find a deal. It wasn’t soon after London was awarded the 2012 Olympic Games when plans for new hotels were set into motion. If you absolutely have to stay in the city, your best bet is one of the new hotels in town. 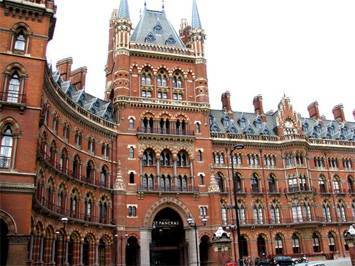 Even London’s new luxury hotels – like the St. Pancras Renaissance – may have rooms available since travelers tend to opt for places they are familiar with before turning to newer hotels. In order to compete, many of London’s older hotels such as the Four Seasons Park Lane and the hundred-something-year-old Savoy have been completely renovated. This could also work in your favor, especially if some floors or rooms were previously closed for renovations during the initial onslaught of bookings. If you have your heart set on a particular hotel directly in London, check available. Most hotels have a handful of canceled bookings. Some of the best places to stay in London for the Olympics aren’t your traditional first choices. Embrace the unconventional and you just might have a truly memorable experience. Remember, these are the summer games, so why not consider staying at a campsite around London. Travel campsites are far from rustic. Many offer similar amenities to what you’d find in a hotel. London is considering setting up a chain of floating hotels on the Thames. You’ll likely be able to book a room here without that much trouble if they are setup in time. Consider skipping London all together. Brighton and Windsor, for example, are still within commuting distance of the London games, but offer more hotel selections. You can even stay in Cambridge and parts of Essex and Kent and travel back and forth to London without too much trouble. Another option is to stay in a cottage or rent a home the duration of the games. If you are really determined to go to London for the Olympics, you’ll find a place to stay – as long as you remain flexible and keep an open mind. Ultimately, finding a place to stay in London during the Olympics depends on how flexible you are willing to be with your travel plans. You can check availability at most hotels, resorts and B&Bs in London and the surrounding area online. If you find a deal, take advantage of it right away. You don’t have as much time to be picky as you normally do if you hope to secure a room for those two weeks. If you don’t find what you want in the city, take a look at the suburbs. You’ll find similar quality and abundance of transportation options will still get you to the games. By booking as soon as possible or looking for last minute deals, chances are you’ll find a great place to stay when the world turns its attention to London. Sol Hudson the author of “The best places to stay in London for the Olympics” is an avid blogger who contributes to a number of publications on a wide range of topics from travel and events to green living to technology.